DrugTestNetwork’s Data Management Software for Drug and Alcohol Testing allows you to create and manage your own list of Collection sites for drug and alcohol testing and keep track of their respective costs for all types of samples: urine, saliva, breath alcohol, etc. 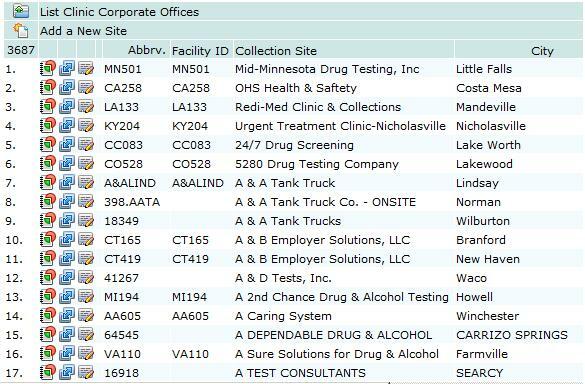 You can also assign collection sites to specific clients and include the site’s address in notification letters addressed individually to each person in a random selection for drug and alcohol testing. This entry was posted in Collections by DTNet Admin. Bookmark the permalink.